The termination of Medi-Cal coverage is a qualifying life event to then enroll into a Covered California health plan. After Open Enrollment closes, the only way an individual or family can enroll in health insurance through Covered California is if they have a qualifying event for a Special Enrollment Period. A valid qualifying event is the loss of coverage. When Medi-Cal terminates the enrollment of a person because they no longer qualify, that allows the person to enroll in a Covered California health plan. Individuals moving into California, who don’t currently have health insurance, might be eligible for Medi-Cal, and then when their income increases, they can segue into Covered California. Health care in California is expensive. Many people moving into California may not have had health insurance in the residence of their previous state for a variety of reasons. Just moving into California does not automatically qualify an individual or family to enroll in a health plan, either off-exchange (direct with a carrier) or through Covered California. Technically, you must have had health insurance in the last 60 days in order to use the qualifying event of moving into California for a Special Enrollment Period. However, Medi-Cal enrollment is open year round. 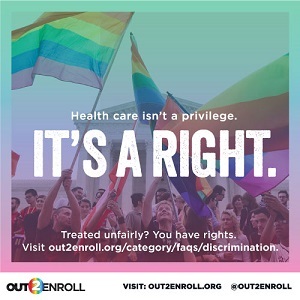 There is no specific time period in which an individual or family can enroll and there is no requirement that the family had previous health insurance. Expanded Medi-Cal under the ACA only looks at your residency and income. This is known as Modified Adjusted Gross Income (MAGI) Medi-Cal. If the household income is below 138% of the federal poverty level (FPL) of the household size, then most adults are eligible for Medi-Cal. If the household income increases to over 138% of the FPL, then the Medi-Cal coverage is terminated and the adults can enroll in a Covered California plan. Children 18 years and younger qualify for Medi-Cal with household incomes up to 266% of the FPL. Here is typical scenario of how people can use Medi-Cal as a backdoor of sorts to Covered California. Peter is 30 years old and had been working on a ranch in Wyoming. He is pretty healthy and never signed up for health insurance as the health care services at the local medical clinic he used for minor bumps and scrapes was affordable. Peter has been offered a job California and decides to make the move out west in April, after California’s Open Enrollment for health insurance has closed. Peter applies for health insurance through Covered California, and because his monthly income is $0, he is automatically determined eligible for Medi-Cal. His local county will then enroll him in a Medi-Cal HMO managed care plan. When his income increases because his new job has started, he reports that income increase to his local Medi-Cal county office. If the new income is over 138% of the FPL, they terminate his coverage. He then has 60 days, under the qualifying event of ‘Loss of Coverage’, to enroll in a Covered California plan with the monthly tax credit subsidies if his annual income will be below 400% of the FPL. During Open Enrollment, which has been from mid-October through January, any individual can enroll in a health plan regardless of whether they had health insurance or just moved to the state. Once Open Enrollment closes, and the Special Enrollment Period commences and Covered California includes additional language to their legal terms and conditions agreement. You can apply for free or low cost health care through Medi-Cal or Covered California at any time of the year. To enroll in a health plan through Covered California, you must have a qualifying life event during the special enrollment period (outside of Open Enrollment Period). If you are eligible for Medi-Cal you can enroll through the year. Please make sure your application is true and correct. If you provide false information you coverage may be cancelled. The U.S. Department of Health and Human Services may also fine you for providing false information. You may be fined up to $25,000 if you negligently or with intentional disregard for the rules provide false information in your application. You may be fined up to $250,000 if you knowingly lie on your application. 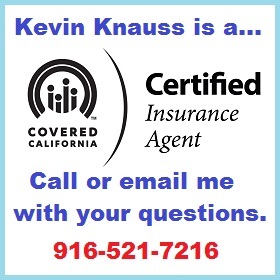 Covered California may request that you provide documents to show you qualify for coverage. During the Special Enrollment Period, individuals must be honest when filling out their Covered California applications for health insurance outside of Open Enrollment. In the above scenario, Peter is being honest when he applies through the Covered California online application that his income is $0 because it is; he has not started his new job and has no income. In most instances, Medi-Cal determines eligibility based on monthly, not annual income. So even if Peter made $100,000 in Wyoming, before he moved to California, because his current monthly income is $0, he qualifies for Medi-Cal. Once Peter is released from Medi-Cal, because he made so much money in the previous months before he moved to California, he may not be eligible for the Covered California tax credit subsidies. A proper Covered California application will list the income earned in the previous months, even if that income has ceased. If a person starts and application through Covered California and is determined eligible for Medi-Cal, and then Medi-Cal terminates coverage because of an income increase, Medi-Cal releases the Soft-Pause from the consumers Covered California account and the individual or family can then select a Covered California plan. The new income has been verified by the county Medi-Cal office and usually does not need to be uploaded to Covered California. But sometimes the counties will request that income documents are uploaded into the Covered California system just so they can review them online. Medi-Cal has access to the Covered California application, but Covered California does not have access to the many different Medi-Cal databases.